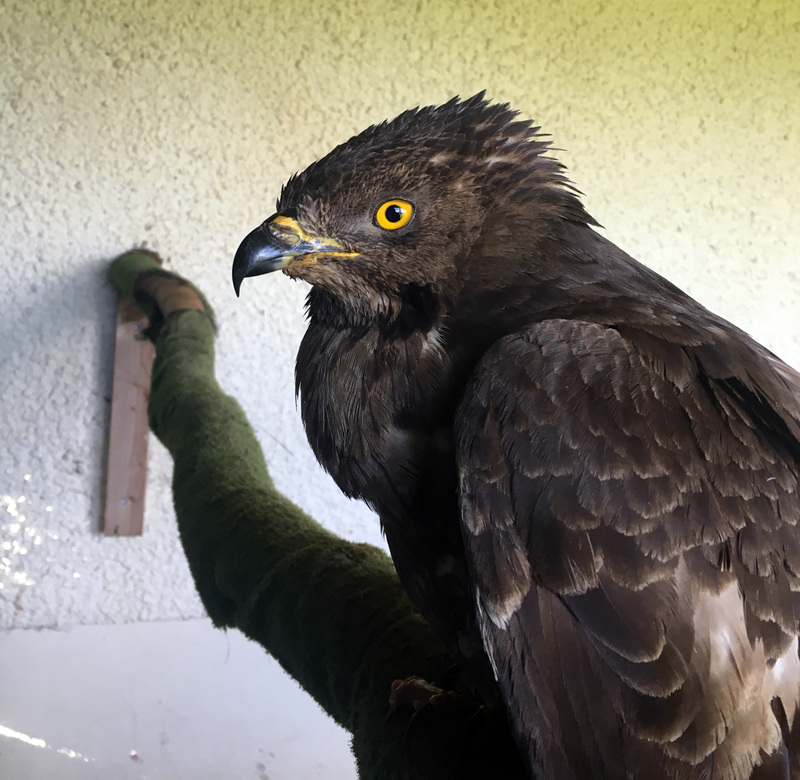 MID-ARGYLL: Paul Finnigan at Finn falconry, Taynuilt has kindly sent through an image of the dark morph female type Honey-buzzard found at the roadside near Dalavich on 15 June but sadly died shortly afterwards in care. It has been sent for a full post mortem. HONEY-BUZZARD – Mid-Argyll June 2018 (Paul Finnigan).